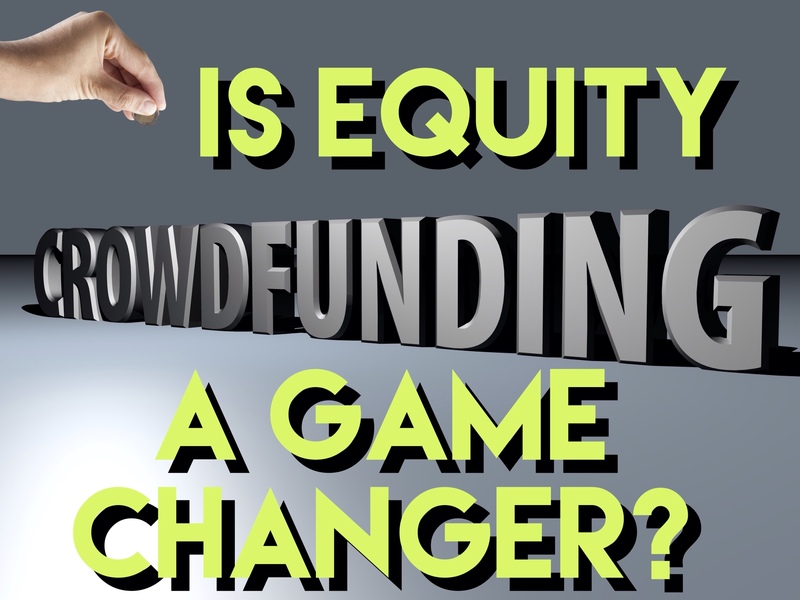 Is Equity Crowdfunding a game changer? Equity Crowdfunding is finally a reality. Almost. In a long-awaited move, on October 30, 2015 the Securities Exchange Commission (SEC) finally adopted a set of rules mandated by the 2012 JOBS act. These rules are designed to facilitate small businesses with capital formation through the use of a crowdfunding approach to sell securities. The rules are designed also to provide investors with additional protections. The new rules are slated to go into effect around May1, 2016. Crowdfunding is an evolving method of raising capital that has been used to raise funds through the internet for a wide variety of projects, including quite a few arts, media, and entertainment productions. Historically, these fundraising activities operated either under nonprofit donation-based models, or gift-based transactions, with the funders contributing without any expectation of seeing anything substantial in return. Title III of the JOBS Act created a federal exemption under the Securities Law to allow companies to offer and sell securities through crowdfunding portals. Under the new rules, individuals can invest in securities-based crowdfunding transactions, up to certain limits on investment. The limits are tied mostly to the investor's financial position. There are also limits on the amounts that can be raised using the new system and some fairly broad disclosure requirements on companies selling such securities. Finally the rules establish, a regulatory framework for the establishment of funding portals and broker-dealers involved in the transactions. Unfortunately, this new crowdfunding mechanism isn't likely to be a real game-changer for entertainment productions with budgets over about $1 MIllion. That's the annual limit on crowdfunding. Investors are also limited by how much they can invest through crowdfunding ($100,000 in the aggregate). For investors with a net worth or annual income of $100,000 or less, they can invest up to $2,000 or 5% of net worth / annual income (whichever is less). For investors having more financial resources (and presumably acumen), the limit is 10%. So, crowdfunding isn't for big projects or big investors. It's intended for small offerings looking to large numbers of regular people who'd like to invest in and support them. Like any crowdfunding project (equity or otherwise), much depends on the company's ability to reach a very large number of prospective backers, and convince them that the project is worthy of their support. So, if you've got a small project (maybe a developmental production of a play, or a micro-budget film) and you've got a big email or social-media list of friends, fans, and supporters, equity crowdfunding might be worth a try. For larger projects, crowdfunding might be a useful tool in raising initial “seed” capital (“front money”) from a small handful of backers. Time will tell. Beyond that, however, I think most independent films and theatre projects over $1,000,000 will still need to raise capital under the prior approaches of the “private offering” exemptions under Regulation D, Rule 506, and/or Regulation A. So, for now, I'm not all that excited. When the new rules go into effect, and have been tested a bit, maybe I'll change my tune. Meanwhile, I wouldn't counsel anyone to wait for the new rules to go into effect. If you've got a project you're developing and financing, plan to fund it through the more traditional channels. Equity Crowdfunding isn't going to be a big game changer. ← When do I need a release from a person in the background of my shot?